Dr. Thomas Jordan is a clinical psychologist and psychoanalyst. He is a graduate of New York University’s Postdoctoral Program in Psychotherapy and Psychoanalysis and on their teaching faculty. Dr. Jordan is the author of “Individuation in Contemporary Psychoanalysis,” a unique study of psychological maturation in adulthood, “Healthy Love Relationship,” an in depth exploration of the “essential” ingredients of a healthy love relationship, and “Love Life 101: Resource Book of Love Life Problems & Solutions,” a compilation of love life related posts from this blog organized for easy reference. Dr. Jordan conducts individual psychotherapy and interpersonal psychoanalysis specializing in emotional problems caused by unhealthy interpersonal relationships and interpersonal trauma. He has been studying and treating unhealthy love lives for many years. He believes that the health and success of our love lives depends upon what we’ve learned about love relationships in our lives. Dr. Jordan is an interactive energetic professional with a passionate interest in helping people learn how to psychologically improve their love lives. Victoria is a clinical social worker, certified psychoanalyst, and a couple therapist. She is a graduate of the New York University School of Social Work and the Manhattan Institute for Psychoanalysis where she earned her certification in interpersonal psychoanalysis. She has extensive experience treating patients in psychotherapy who present with love relationship related problems and interpersonal related trauma. 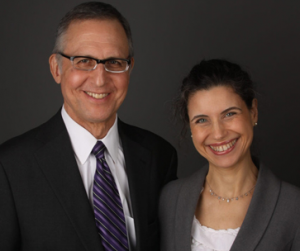 At the present time, Victoria conducts individual and couple psychotherapy in a group practice with her husband on the upper west side of Manhattan. Her work treating couple and marital difficulties over the years is a valued resource of love life knowledge and expertise.